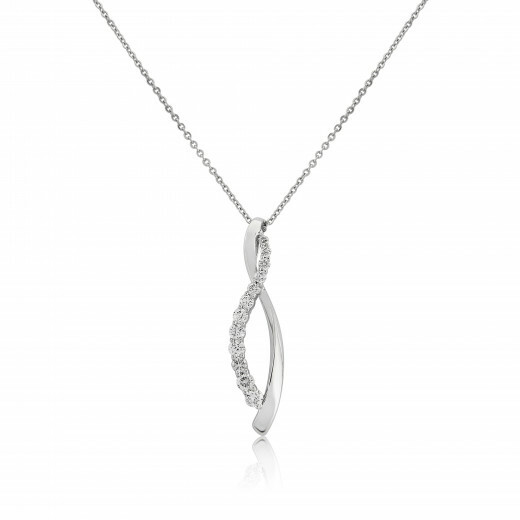 A graceful take on a classic twist 9ct white gold pendant one half set with twelve sparkling brilliant cut diamonds the other in plain polished. The pendant is suspended on an 18ct white gold trace chain which can be worn either 16" or 18". Perfect as a piece of bridal jewellery or as a sophisticated everyday pendant.